Fast Hire & Sales are authorised dealers for Probst Handling and Laying Equipment and offer for sale or hire the Probst VTK. The Probst VTK is the solution for effective, effortless transprt of loose or bound pavers, kerb, slabs, etc. The Probst VTK is fully adjustable without the need for tools in addition to this the bult in integral protection device it ensures the clamping mechanism of the Probst VTK cannot be over loaded. 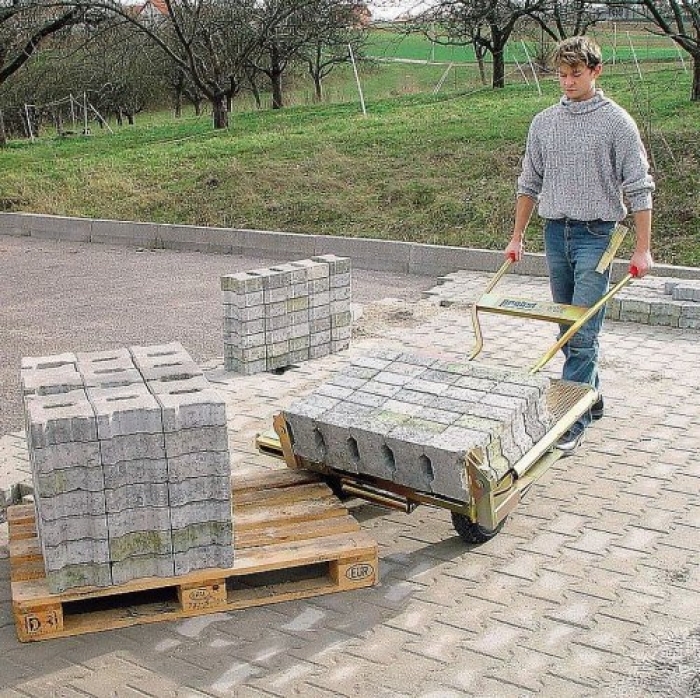 With its narrow construiction and durable galvanised surfaces teh Probst VTK Adjustable Paver Trasport Cart is a must have item for any paving contactor. Call Fast Hire & Sales for your Probst VTK.